Sometimes you can be a true devil but still have a big heart? 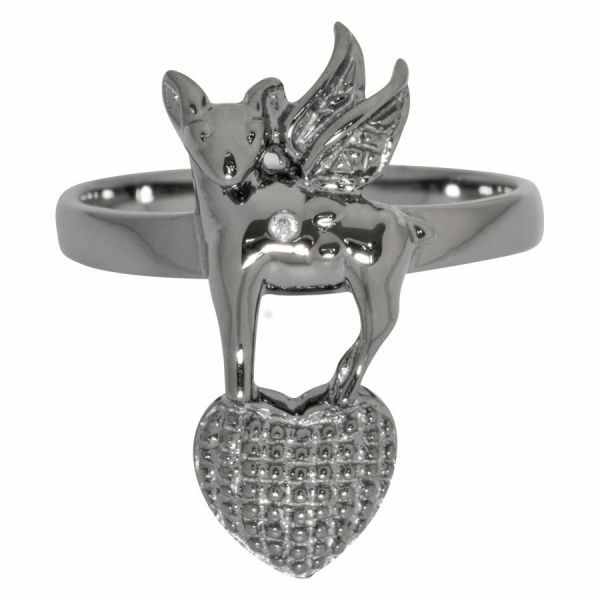 Then our charming Devil Heart ring is a must-have for you. The finger ring is composed of golden high-quality stainless steel and belongs to our Steel Zirconline collection. The ring represents a real eye-catcher due to its special spiraled form and its devil heart-shaped zirconia bonnet. The ring breadth is 1.9 cm and the jewel has a size of 8 x 8 mm. i’m in love with this ring, it’s super cute and elegant.